Fantastic opportunity to become the owner of this expansive equestrian home sitting on 200 acres of land. Enjoy the amazing mountain views. The home has a large open floor plan with the kitchen, dining room, and spacious family room with a fireplace for your relaxation. You will find the large master bedroom along with 4 additional bedrooms on the main floor with a guest suite, kitchen, and large family room on the lower level. 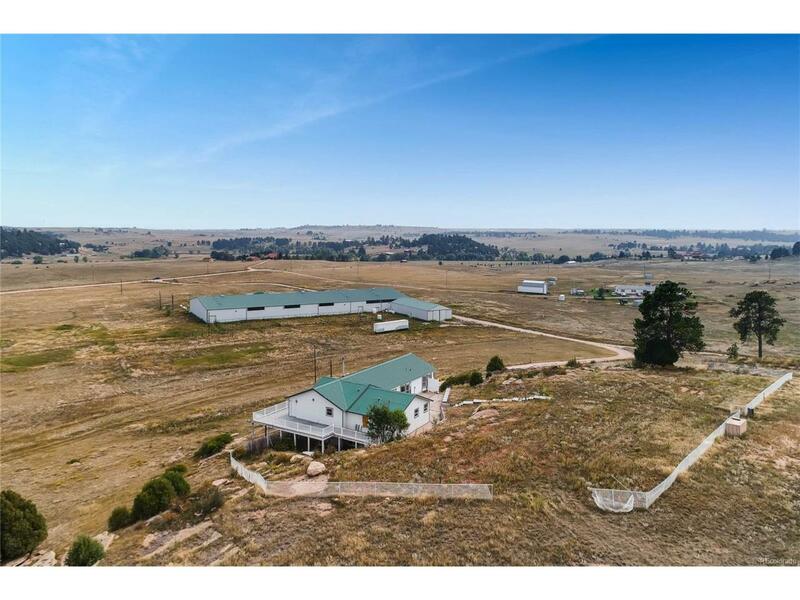 One of the highlights of this property is a 30,000 square foot horse arena on the property, which also houses 30 stables. And for your ranch manager, there is an update 2,045 square foot home with 2 bedrooms and 2 bathrooms. The land is broken up into 5 separate 40-acre parcels. Carpet allowance offered with a full price offer.